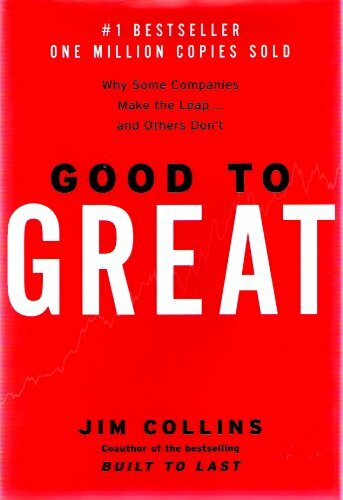 This book addresses a single question: Can a good company become a great company, and if so, how? Based on a five year research project comparing teams that made a leap to those that did not, Good to Great shows that greatness is not primarily a function of circumstance; but largely a matter of conscious choice and discipline. This book discusses concepts like Level 5 Leadership, First Who (first get the right people on the bus, then figure out where to drive it), and the Flywheel.